Looking back, Nintendo Wii ended up with a huge library of games to its name, including some much-loved classics (and quite a few duds, if we’re honest). But who would have thought a third-party multiplayer title about carnival mini-games would have proved to be one of the system’s biggest sellers? 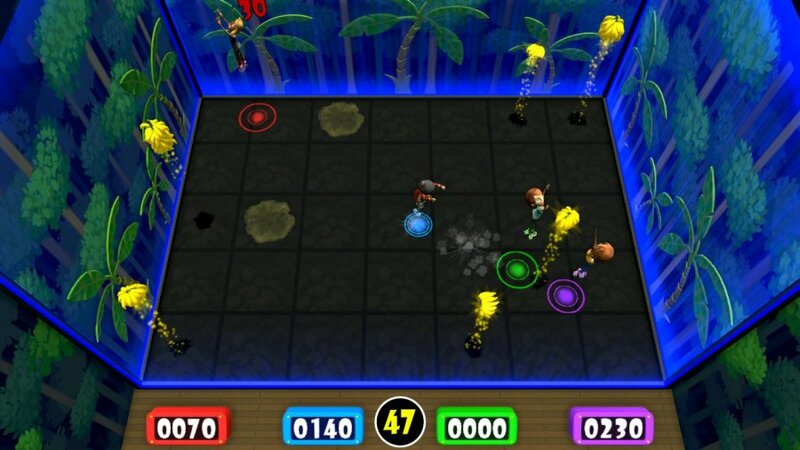 For all its faults, Carnival Funfair Games did just that in 2007, even with a middling reception from critics. Now, over a decade later, 2K hopes to recreate that success once more with Carnival Games on Nintendo Switch. Does it succeed? Let's find out. 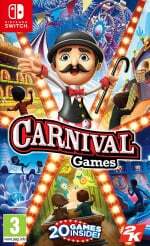 Much like its predecessors, Carnival Games keeps things nice and simple by offering up 20 different mini-games based on classic fairground attractions. There are plenty of old favourites from the first incarnation, including the basketball-flinging fun of Swish to the water-shooting mayhem of Clowning Around, but there are quite a few new ones, too. 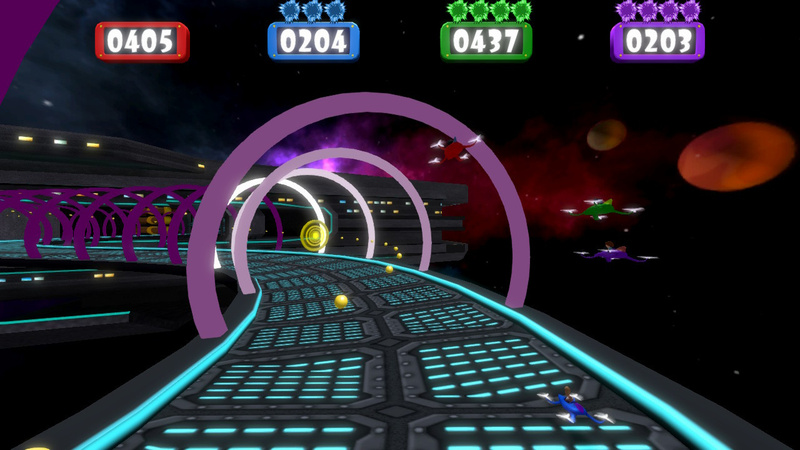 Light Speed, for instance, tasks you with piloting a drone down a tunnel, flying through rings to score points and using a force-field to send your opponents spinning out of control. Supernova is also another cute new addition, which requires you to zoom around a small arena collecting inflatable planets to outscore your opponents. The original game had five different areas to visit, but this new version has grouped everything into four themed carnival corners - Jungle Lake, Saturn Station, Vulture Gulch and Nuts & Bolts. Rather than playing for prizes with your Mii avatar, Carnival Games now has its own characters to choose from (which all look like something straight out of a 3D animation from the '90s) and instead of playing for items, you simply earn tickets which in turn enable you to unlock more games among its total of 20. Some are locked behind relatively simple requirements, but others are gated behind ridiculously high ticket levels. Want to unlock Swish? Better cough up 200 tickets. 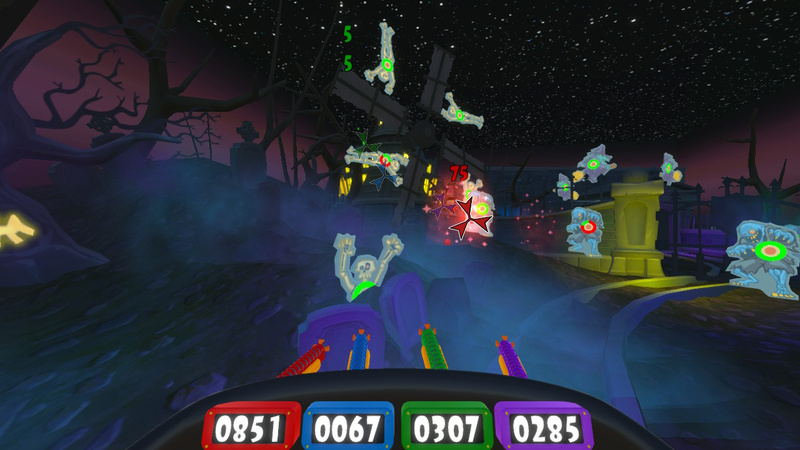 Hoping to spin you toy six-shooter in High Noon? Best start saving to meet that 1,000 ticket price tag. There’s a really bizarre disparity between these unlock tiers, but if you grab a couple of friends and start trying to outdo each other’s score, it doesn’t take too long to finally start earning enough to meet these bigger ticket hauls. Every one of its 20 games can be enjoyed solo against some pretty ruthless AI, or you can play with up to three other players locally for some fun couch-play action. There’s no support for online play, but that’s no shock considering this is a title that’s all about gathering around your Switch or TV and jostling for a win in the same room as your opponents. 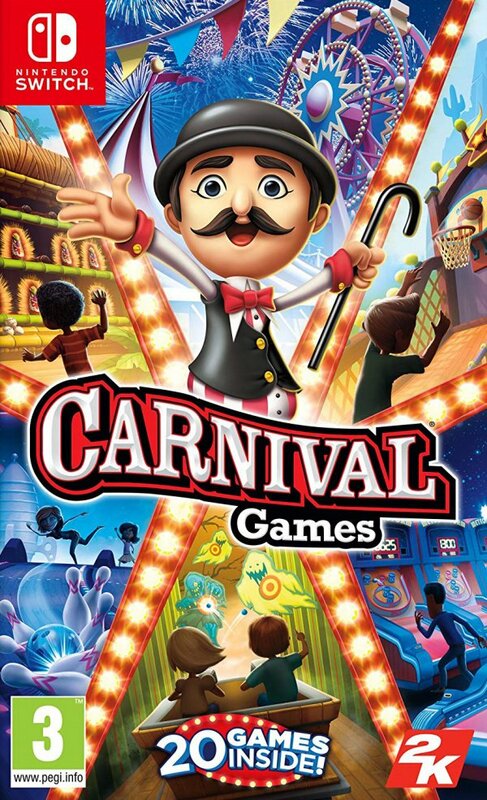 As you might expect, Carnival Games is at its most fun when you’re playing with your friends and family, with its decent mix of game types offering a lot more variety and choice than the recent Sports Party from Ubisoft. This being a revival of a Wii ‘classic’, motion controls are of course supported, although you’ll need to win and beat each respective mini-game individually in order to unlock this feature. And while playing with an analog stick and a single button is fun in its own right, it’s never going to compare to waving your Joy-Con to throw a hoop on a bottle or hit a home-run in a jungle-themed arena. And while Super Mario Party remains the go-to couch-play title on Switch, Carnival Games is still an entertaining alternative to the likes of 1-2 Switch and The Jackbox Party Pack. Presentation-wise, Carnival Games certainly looks better than its predecessors, but that’s hardly a surprise considering this new iteration is running on a much more powerful piece of hardware. Its visuals are never going to win any design awards for innovation, and everything from the character models to mini-game assets look like they're taken from a previous generation, but this isn’t a game you’re buying for its aesthetic value; it’s a silly collection of family-friendly games and it hits that remit dead on. There’s no drop in performance between handheld or docked mode, so no need to worry about being cheated out of a win thanks to a chugging console. Oddly, the animated menus of the Wii original have been dropped in favour of a more static experience, so now each of its 20 games are split into those aforementioned four sections, with each one resigned to a still image and an animated preview of each respective mini-game. Again, it does the job, but there was something charmingly quaint about selecting your next carnival time-killer from within a rendered funfair setting that’s been lost in this Switch incarnation. If you’re looking for a game to get the whole family gathered around the TV - or your Nintendo Switch in tabletop mode - during the school holidays or at a party, Carnival Games offers plenty of silly mini-games to get everyone swinging their Joy-Con. It’s nothing remarkable, but the new games do offer a little more variety than the previous versions, so if you’re looking for a quick pick-up-and-play alternative to Super Mario Party, this colourful collection could be the virtual funfair trip for you. Or, you know, you can opt for Super Mario Party, which offers both quality and quantity. WTF? Having to unlock new games I kinda get, though it's still annoying, but what brain dead idgit decided to lock motion controls? How does that make any sense?!?!? I paid 5 bucks for this on Wii and felt like I wasted my money. Get Go Vacation or Super Mario Party instead. As a party game to whip out when you have very casual gamers or non gamers round, then this is a pretty good choice. I rate it higher than those Jackbox Party games, but as a standalone game, it's very, very casual. It's a good fit for adults playing with kids too, thinking ahead to Christmas. The Wii version was a guilty pleasure of mine, so I picked this up. I like creepy carnival themes. I was disappointed that you can't walk around the Carnival anymore, and instead just select a game from a menu. Pretty much all of the games just play/feel/control exactly the same, and are pretty much 'one and done' type affairs. I strongly disagree with this review score. 5/10 max. Never played the Wii version though this does sound interesting. @NewAdvent I mean, it's also released for the PS4 and the Xbone at the same time, so nothing to do with the machine the "casuals" play. Hm. Pleasant surprise. There's been a party game revival in my house, and this looks to be a good addition. Wow so this is not a shovelware? @NewAdvent ha, I was thinking exactly the same! I worked at Game about 10 years ago while I was student and there was always a huge stack of pre-owned copies of this selling for £4.99 or something stupidly cheap. Loved the original 3 on the Wii, bought the VR version for PS4, will definitely be getting this down the road on Switch...already own it on PS4 and enjoying it with the kids! Glad they're bringing it back...now, let's try The MUNCHABLES again!!!! @Silly_G I'm not sure it has quantity actually. Four boards is pretty paltry, and no online boardgame play. Super Mario Party is better. I'll wait til they have a sale to decide. These comments are a joke. 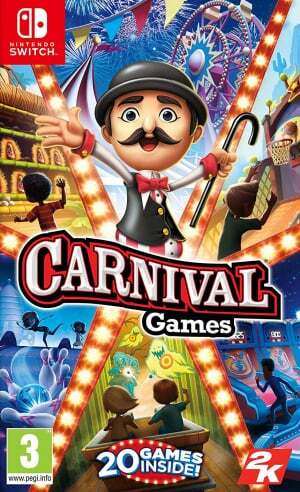 A lot of people who never played Carnival Games are bashing this game. @baller98 probably the NWR review. Pay attention to the review, not the site. Find reviewers that tend to like similar games to your interests and listen to their opinions. Otherwise your going to buy a lot of crap and miss a lot of gems. @Beatley82 : I was referring to the number of activities (of which there are about 80). Carnival Games doesn't even have boards for that point to be worth raising. Oh hey! I remember playing this on Wii! Didn't I get a mini golf based sequal? I played that game all the time on the wii, and it was so much better than this one. I REALLY hope "mini golf" get's a switch remaster. "Mass Media Games is currently comprised of an extremely talented group of dedicated and experienced individuals who have been in the entertainment software design and development industry since the beginning. We have done every type of game, from arcade to shooters, mini-games to space operas, and mysteries to sports and designed more than 175 mini-games for the Muppets, Shrek, SpongeBob, Pac-Man, Do Unto Others!, Midway 1-3 and the HotZone. We have taken on projects that nobody would touch and successfully ported titles that required the kind of skill that takes decades of experience to obtain. Porting StarCraft from the PC to the Nintendo 64 was a nearly absurd undertaking and the cartridges sold out in a matter of weeks. We literally sucked assembly code out of arcade machine ROM cartridges and painstakingly re-engineered identical code from scratch for the Namco collections. We dug deep into LISP/GOAL (of all things) to re-program the three Jak & Daxter games (while adding stereoscopic 3D support) for the PS3 from the one known existing copy of running code on a dusty Naughty Dog PC. These are monumental tasks that were completed by our crack team of seasoned veterans that are unmatched in this industry. We have the Skills. We have the Brains. And, we have the Drive and Focus to take on any task in the known universe. We've even had one of our original games featured on the cover of Time Magazine! Let us help you build the future one line of code at a time." How can you NOT love someone like that? And their resumé really is impressive. After seeing glowing reviews for the original Wii game, I bought it. I like mini games and casual games... But this just didn't do anything for me. I quickly discovered that there really isn't much to (real life) carnival games and when you take away the context of a fair and prizes to win, throwing balls at milk jugs or darts at balloons is actually pretty lame. I picked this up for $25 today at GameStop. This game is not very good and a lot of the twenty games are boring or poorly designed. It only took about an hour to unlock all of the games. I have no idea how this got a better score than Go Vacation. That is the best casual game on switch. 50 minigames and 4 open worlds to explore. Plus create your own villa and explore others. 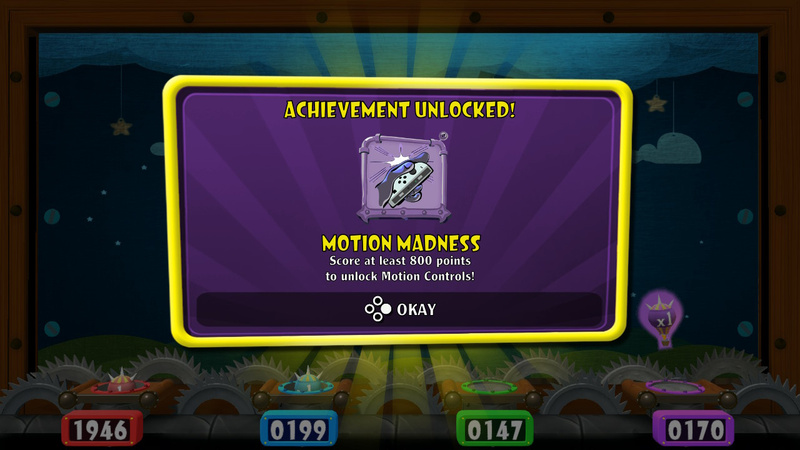 The minigames often have different modes too. This game is not good. Not good at all. Go Vacation is a MUCH better choice. I would definitely recommend Go Vacation over this game. A shame as I did not think that the DS version of Carnival Games was too bad (it was actually the reason why I purchased this game). I will know better next time. The highest score I can give this game is a 3 out of 10 - and that is being generous. Go Vacation is the game which far more deserves the score of a 7 out of 10 (though I might possibly award it an 8).